We are leading manufacturer of dehydrated media ingredients with in bulk. We supply to many domestic and international biotechnology lab & fermentation industries and dehydrated media formulators, we offer a wide range of dehydrated bacteriological media ingredients in bulk. Customized as per the specifications of our clients, these are qualitative in nature. Our products are excellent in quality, clarity & growth performance. Our range of Bacto Tryptone is a mixed enzymatic hydrolysate with distinctive nutritional properties. The digestive process of Bacto Tryptone results in assorted peptides of higher molecular weight suitable for long chain amino acid requirements. Bacto Tryptone provides nitrogen, amino acids and vitamins in microbiological culture media. Tryptone is a fine, free flowing, slightly hygroscopic, spray dried powder containing amino acids, short chained peptides derived from enzymatic digestion of high quality casein. Light yellow colored soluble powder containing Tryptophan. 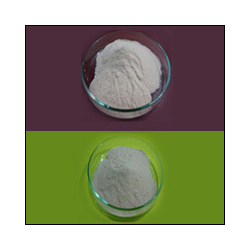 Tryptose is a fine, free flowing, slightly hygroscopic, spray dried powder containing amino acids, short chained peptides derived from enzymatic digestion of high quality casein. Light yellow colored powder. 2 % solution in water is clear. 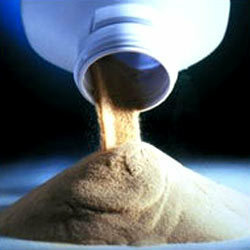 We offer a Yeast Extract Powder which is derived from an aqueous extract of automatized brewer's yeast. It is a rich source of vitamin content provides excellent growth conditions for more microbes. Added to culture media as a vitamin source .it is used in bacteriological media and fermentation industry as a vitamin & protein source. Fine, free flowing, slightly hygroscopic spray dried powder. Yellow to light brown colored powder. Typical sweetish odor. 2% solution in distilled water is clear. 6.00 to 8.00 % w/w. NMT 20.00 % w/w. Meat Extract Powder, It is used in wide range of bacteriological media & fermentation industries, as it contains the broad spectrum amino acids required for the microbial growth in appropriate concentration. It is a fine, free flowing, slightly hygroscopic, creamy yellow colored spray dried powder containing amino acids, short chained peptides derived from enzymatic digestion of high quality meat. We offer a wide range of Peptones derived form various sources, which used in various dehydrated media ,biotechnology & fermentation industries as organic nitrogen source as it contains the short chained peptides & broad spectrum amino acids required for the microbial growth in appropriate concentration. These pre-didested Peptones supports excellent growth of various microorganisms. These products are manufacture under specialized technocrats to suits the requirement of solubility & growth performance & controlled hydrolysis of the products. Peptone Bacto, It is a fine, free flowing, slightly hygroscopic, and spray dried powder containing amino acids, short chained peptides derived from enzymatic digestion of high quality protein. Soya Peptone, It is a fine, free flowing, slightly hygroscopic, spray dried powder containing amino acids, short chained peptides derived from controlled enzymatic hydrolysis of high quality non GMO defatted soya. It is helps to boost up & maintain the growth of microbes. Veg Peptone, It is a fine, free flowing, slightly hygroscopic, spray dried powder containing broad range of nutrients like a carbohydrate, vitamins, & amino acids, short chained peptides derived from enzymatic digestion of high quality vegetarian protein source. Casein Peptone, It is Fine, free flowing, slightly hygroscopic, spray dried powder derived from high quality casein by controlled enzymatic hydrolysis. It is reach in essential amino acid Tryptophan. It is helps to boost up the growth of microbes. Meat Peptone, A fine, free flowing, slightly hygroscopic, spray dried powder containing amino acids, short chained peptides derived from enzymatic hydrolysis of high quality meat paste. it helps to maintain the growth of microbes in the culture. Protease Peptone, It is Fine, free flowing spray dried powder. Creamy yellow coloured powder used in fermentation & dehydrated media preparation as a nitrogen source. Gelatin Peptone, It is a fine, free flowing, slightly hygroscopic, and spray dried powder containing amino acids, short chained peptides derived from enzymatic digestion of high quality gelatin. Acid Hydrolysate Of Casein (Technical & Purified Grade) Casamino Acids. Casein, Acid Hydrolysate is an excellent source of free amino acids and short peptide fragments, which are required by microorganisms for growth. Casein is a rich source of amino nitrogen. Treatment with hydrochloric acid hydrolyzes the protein into primarily free amino acids with some short peptide fragments. Tryptophan and vitamins present in the casein are destroyed by the acid hydrolysis. The salt content of this peptone is very high at approximately 36%. 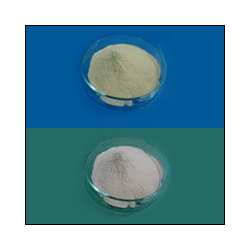 While this peptone is used in a number of microbiological media formulations, its main usage is in Mueller Hinton Agar. Our range of Acid Hydrolysate of Casein is a hydrochloric acid hydrolysate of casein for use in preparing microbiological culture media. Acid Hydrolysate of Casein, Technical Grade It is used in wide range of bacteriological media & fermentation industries, as it contains the broad spectrum amino acids required for the microbial growth in appropriate concentration. 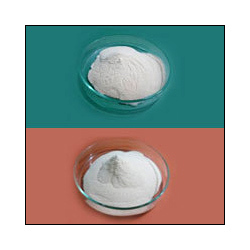 Free flowing, slightly hygroscopic, spray dried powder derived from high quality casein. 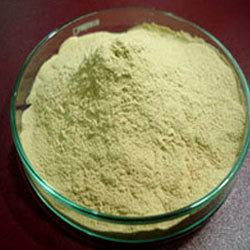 It is a pale yellow to light brown colored soluble powder. Our range of Pancreatic Digest Of Casein is a milk protein and a rich source of amino nitrogen. Casein, Acid Hydrolysate, a hydrochloric acid hydrolysate of casein, is added to media primarily because of the organic nitrogen and growth factor components. Casein, Acid Hydrolysate is recommended for use in bacteriological cultures that require a completely hydrolyzed protein as a nitrogen source. Pancreatic Digest of Casein, It is a free flowing, slightly hygroscopic; spray dried, light yellow colored powder derived from high quality casein. 2% solution in water is clear. Nitrogen: NLT 12.00% w/w , Alpha Amino Nitrogen : 3.50 to 4.50% w/w. Ash: NMT 8.00% w/w. Pancreatic Digest of Gelatin is free flowing, slightly hygroscopic, sprays dried powder derived from high quality gelatin. Light yellow colored powder. 2% solution in water is clear. Looking for Bacteriological Media Ingredients ?